Hi "guys"! As promised here's a refview of Ciate Hoopla! A very nice peachy pink summery pastel color! 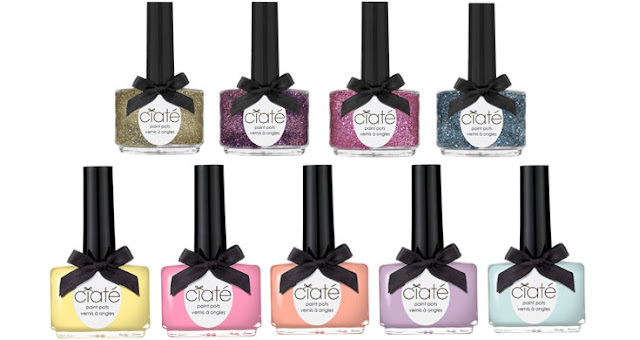 It is from Ciates Fairground Collection which consists of 5 pastels and 4 glitter polishes. I know I promised to review Ciate Loop the Loop as well (the yellow pastel one) but I lost the Pictures, so I will have you waiting for that! Sorry! I blame all kind of electronic things. Anyways, here it is! Application was very easy and drying time fast. I used two coats, mostly for the sake of these pictures, so the color would be clearer to you. As mentioned before this is just perfect for summer! And do I love the bootle? Yes! So cute. 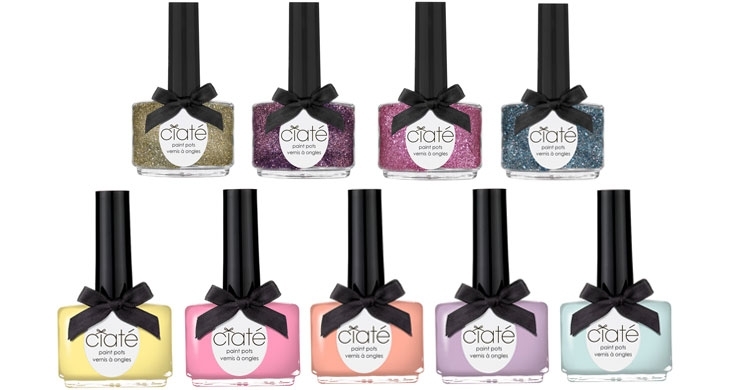 Just in case you want to check Caite Fairground Collection, I'll post a picture owned by Ciate so you can see the whole collection since I only own 2 of them. Sadly. From top (left to right) they are called: Carousel, Helter-skelter, Funhouse,Rollercoaster, Loop the Loop, Candyfloss, Hoopla, Spinning Teacup, Ferris Whell. Funhouse is really on my wishlist.